The deeply transforming sound healing frequencies used in our Chakra meditation MP3s progress from the Root Chakra up to the Crown Chakra. These Chakra meditations spend 5-7 minutes at each Chakra, depending on the length of the program. They are not only attuned to the Chakras, but also to the Earth; the binaural beats progress along what are known as Shumann Resonances. The Shumann Resonance is the magnetic frequency of our planet Earth. Thus the goal is, to realign your energy to the correct Chakra balance, and also to realign you to a feeling of balance with the planet. In conclusion, Chakra balancing with our simple, easy to use, Chakra meditation is an essential first step in rebalancing your life’s vital energy, Body, Mind and Soul! Isochronic Solfeggio Tone Chakra Healing & Balancing Meditation. What are Isochronic Tones? Isochronic tones are a very powerful sound therapy technique. These tones are regularly paced beats of a single sound tone; we have used the Solfeggio frequencies associated with each Chakra for these tones. You might hear these pulsing tones as a sort of “helicopter” sound. The isochronic tones progress along what are called the Shumann Resonances. The Shumann Resonance is the magnetic frequency of our planet Earth. As a result, the goal is to realign you to the correct Chakra balance, and also to a feeling of balance with the planet. Relax, close your eyes, and get ready for the most unique and powerful Chakra meditation you’ll ever experience! The tones will progress up, from the Root Chakra to the Crown. You may feel something at each point, such as the release of trapped emotions, physical feelings, vibrations, euphoria; each individual’s experience will be different, and your personal experience will be different each time, as you progress on your spiritual growth. Above all, the meditative brainwave state is known for it’s many restorative benefits to the body, mind and soul. *If you open in iTunes and it says, “Not available”, make sure your iTunes is set to “Store” not “Browse” and click again. * Get as a single MP3 as an Android App. 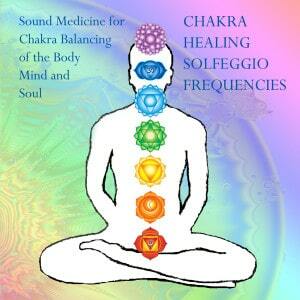 Purchase the 7 isochronic Chakra MP3s and a 9 page PDF with Pay Pal for desktop. From Gamma, an “elevated” and alert binaural beat Chakra meditation, to Delta, a deep, sleep meditation. Click here to learn more about binaural beats. What is “Gamma” meditation? Gamma has the highest brainwave frequency, at 40 cycles per second and above. Advanced meditation and yoga practices associate the Gamma brainwave frequency with a state of pure compassion. Also, researchers have learned the Gamma brainwave frequency is associated with a heightened sense of perception, information processing and mood. Consequently, the highly sought after Gamma brainwave state is usually achieved only after many years of meditative practice. Simply relax, close your eyes, put on your headphones, and experience one of the most unique and powerful Chakra meditation! The binaural beats will progress up, from the Root Chakra to the Crown Chakra, from a Beta frequency of 20.3 Hz to a Gamma frequency of 45 Hz, spending about five minutes at each Chakra. You may actually feel something at each Chakra point, such as the release of trapped emotions, physical feelings, vibrations, or euphoria. As a result, each individual experience will be unique, and your personal experience may be different each time, as you progress along your path of spiritual growth. Be aware, Gamma binaural beats may, at first, cause a slight headache. For this reason, please, go slowly, get used to it, and do not over-do it! To learn more about brainwave entrainment, click here. *If you open in iTunes and it says, “Not available”, make sure your iTunes is set to “Store” not “Browse” and click again. 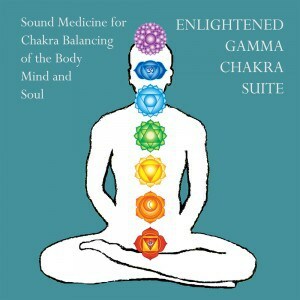 * Get the Gamma Chakra MP3 as an Android App. Purchase the Gamma Brainwave Chakra MP3 and 9 page PDF with Pay Pal for desktop. Download only, not for streaming. iPhone and iPad, only use iTunes. What is “Alpha” meditation? Alpha brain waves operate between 8 and 13 cycles per second. This brainwave frequency occurs during day dreaming, fantasizing and creative visualization. The Alpha brainwave frequency is often associated with a deeply relaxed state, and with light trance or meditation. As a result, it can make for a very refreshing and relaxing “break” during the day, especially when times are stressful. For those new to binaural beat mediation, Alpha can be quite profound. Consequently, we recommend starting here for the deeper Chakra meditations. This particular program starts at a binaural beat of 20.3 (Beta) and ramps down gradually to a low Alpha beat of 7.83 then back to a beat of approximately 12-13. Consequently, you should only use this in a time and place where it is OK to possibly fall asleep, especially if you are new to this. To learn more about brainwave entrainment, click here. *If you open in iTunes and it says, “Not available”, make sure your iTunes is set to “Store” not “Browse” and click again. 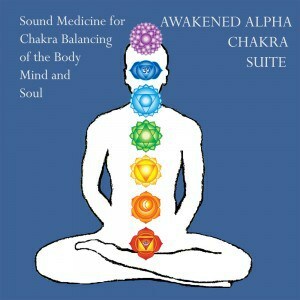 * Get the Alpha Chakra MP3 as an Android App. Purchase the Alpha Brainwave Chakra Suite, with 9 page PDF with Pay Pal for desktop. Download only, not for streaming. iPhone & iPad, don’t use Pay Pal. Use iTunes. What is “Theta” meditation? Theta brainwaves operate between 4 and 8 cycles per second. This level of meditation is associated with intuition and inspiration, and it’s the bridge to our our subconscious. Theta is activated during dream sleep, and deep meditation states. 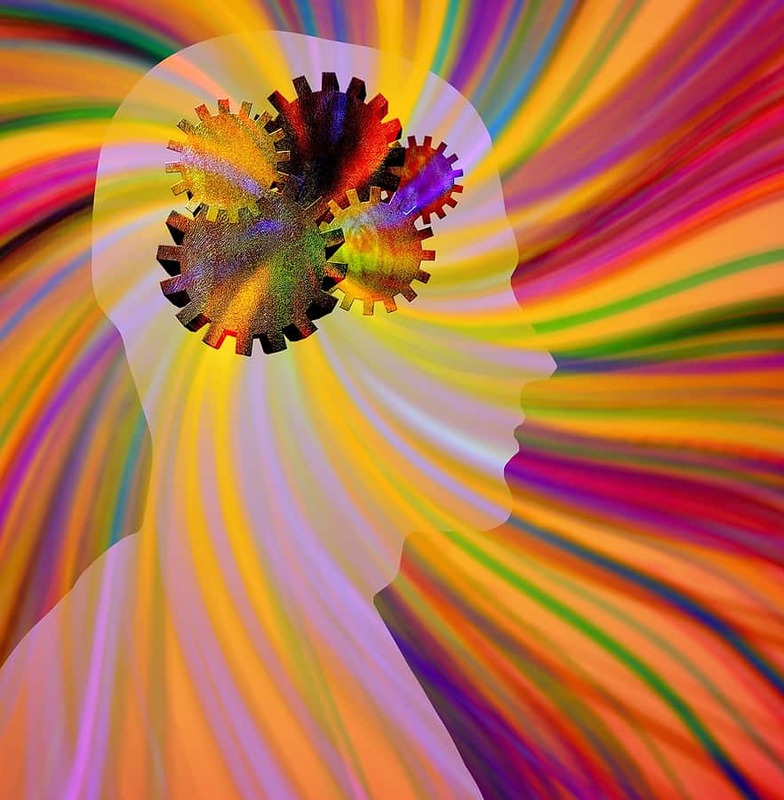 Because of this, the Theta brainwave frequency is often associated with creative thinking, allowing us to tap into our subconscious creative mind. As a result of the depth of this meditation, some people also achieve out of body experiences during a deep Theta brainwave state. This particular program starts at a binaural beat of 20.3 Hz (Beta) and ramps down gradually to a Theta beat of 4.5 Hz then back to a beat of 14.1. Because of this, you should only use this in a time and place where it is OK to possibly fall asleep. To take advantage of the binaural beats, you must use headphones, and be in a time and place where it is OK to relax or even fall sleep. To learn more about brainwave entrainment, click here. *If you open in iTunes and it says, “Not available”, make sure your iTunes is set to “Store” not “Browse” and click again. 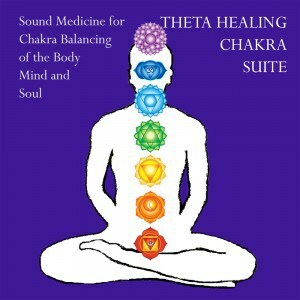 * Get the Theta Chakra MP3 as an Android App. Purchase the Theta Brainwave Chakra Meditation and a 9 page PDF with Pay Pal for desktop. What is “Delta” meditation? Delta has the lowest brainwave frequency between 0.5 and 4 cycles per second. Delta is produced during deep sleep, and as a result, is very rejuvenating for the body.. This particular program starts at a of 20.3 Hz (Beta) and ramps down gradually to a low Delta beat of 1.45 Hz, then ramps back up to 9.41 hz. Consequently, you should only use this at a time and place where it is OK to fall asleep. To take advantage of the binaural beats, you must use headphones, and be in a time and place where it is OK to deeply relax or sleep. To learn more about brainwave entrainment, click here. *If you open in iTunes and it says, “Not available”, make sure your iTunes is set to “Store” not “Browse” and click again. 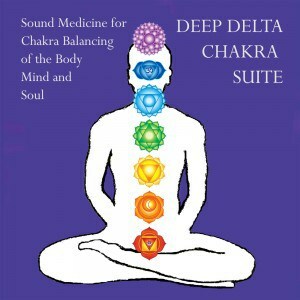 * Get the Delta Chakra MP3 as an Android App. Purchase the Delta Brainwave Chakra Suite and a 9 page PDF with Pay Pal for desktop. To learn more about brainwave entrainment, click here.